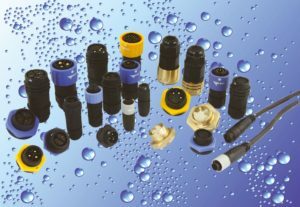 The Interconnection Specialists expand their range of waterproof connectors…. 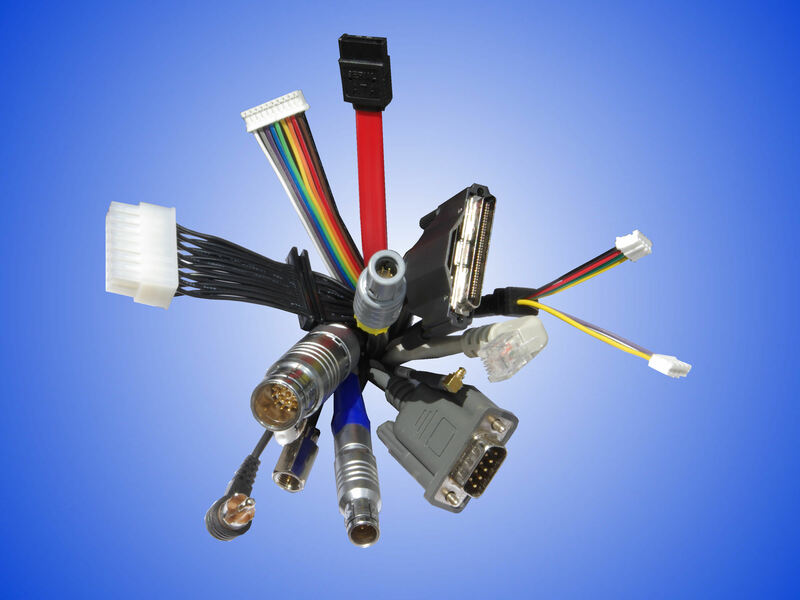 As a specialist supplier of connectors and cable assemblies for over 30 years, and with particular emphasis on engineering support, Selwyn Electronics has always kept up to date with market trends and new technologies, to ensure that their range of products evolves with these changes. 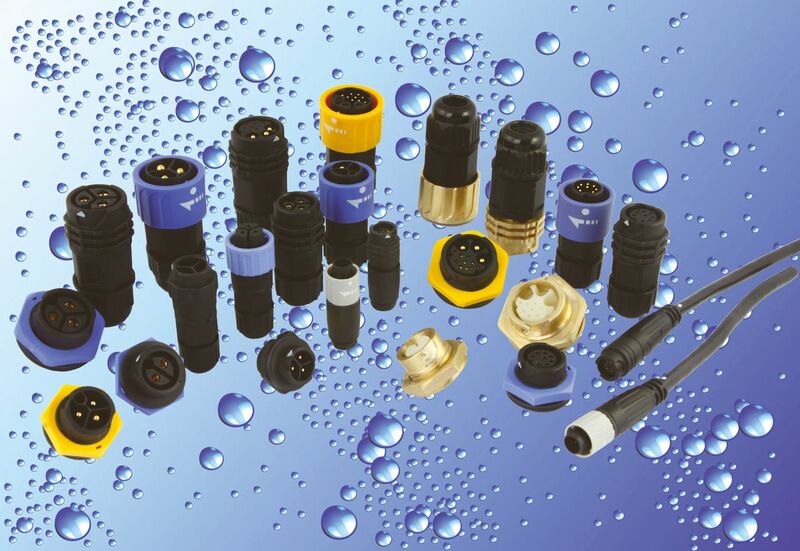 The latest additions are new ranges of waterproof connectors, which are particularly suitable to marine and led lighting applications, although they could be used in any application requiring a low cost reliable connection where moisture or dust protection is required. The latest additions to this range are the ODU Medisnap panel mount connector which is IP686 unmated and the Micro series which is a friction lock cable to cable or cable to panel with a diameter of only 10mm.This range is predominantly circular, with five different shell sizes and three different locking methods, but also includes waterproof USB, Mini USB, RJ45, HDMI and D connectors. This exciting new range compliments their existing circular connectors, which includes industrial and high performance push-locking connectors and M8/M12 connectors. In fact they now claim to have a circular connector solution for all applications, and within all budgets. As well as their strong circular range Selwyn can also offer RF connectors, PCB connectors, crimp connectors, high speed I/O connectors, SATA and SAS connectors, terminal blocks, network connectors, custom adapters and BGA sockets. In fact, there isn’t really a connector style missing from their range, and if there is, Selwyn also have a custom connector design and manufacture service with surprisingly short lead times and low tooling costs. Aside from their wide range of connectors, what really sets Selwyn apart from other connector and cable assembly suppliers is the service offered, particularly the engineering technical support. The mission statement on their website sums this up……. To truly call themselves Interconnection Specialists, as well as having a wide range of connectors, Selwyn also have a custom cable assembly design and manufacturing service. They have factories in both the UK and China, and this allows them to use whichever facility is best suited to each particular customer requirement, whether it is 20pcs or 20,000pcs. It also means that they can carefully calculate the costs using both factories, to ensure that the most cost effective solution is offered; sometimes this means splitting manufacture between both factories. Having a cable assembly manufacturing service also allows Selwyn to use their engineering skills to full potential because often with cable assemblies they can discuss design options and component selection and assist their customer to find the best design for their product. Working in partnership with their customer is usually the best way to come up with the most suitable design, and this is where Selwyn come into their own, but of course they can also use a finalised drawing and manufacture exactly to the specification. Whatever route the design takes, all of the assemblies manufactured by Selwyn go through a rigorous test and inspection procedure to ensure complete satisfaction for every cable supplied. Copies of test reports can be supplied, if required and custom packaging can also be offered. So, if you are looking for a reliable and knowledgeable connector supplier for a new product design you are working on, or for a product that is already designed, or if you are looking to save costs on a product that is already being manufactured, then Selwyn is definitely a company worth contacting. Their friendly sales staff can help with technical information, samples and prices, and a Sales Engineer can visit if preferred. With their range of products and services, Selwyn can truly call themselves The Interconnection Specialist.